Newly sworn-in Colorado Gov. 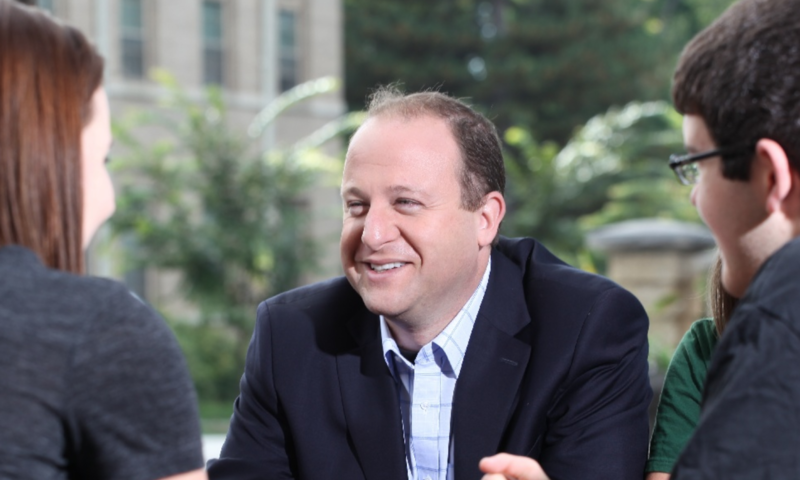 Jared Polis (D) is urging other states around the country not to legalize marijuana, but not for the reason you might think. It’s not that Polis thinks legalization is a bad policy and he wants to protect other governors from having to deal with its consequences. You see, the Colorado governor is a big legal cannabis supporter, and he wants to reap the benefits for his own state before others get a chance to steal the Centennial State’s thunder. Polis, who until this year was one of the leading champions of marijuana reform in Congress, has been working for a long time to push back on fears about legalization as a federal lawmaker. But in a mostly tongue-in-cheek way during the new radio interview, he suggested that calculus may have changed somewhat now that he’s in charge of the entire state of Colorado—and its budget. Photo courtesy of Polis For Colorado.